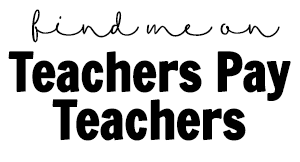 From planning leveled guided-math lessons, to guided reading groups, to writer’s workshop, to Daily 5 choices, to math centers, as primary teachers we can be planning and preparing for over 36 lessons/activities each week. 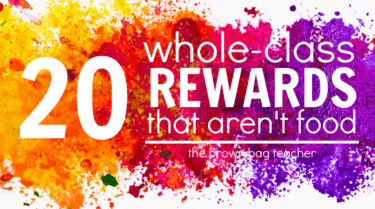 If we think about this for too long, it’s WAY overwhelming – right?! 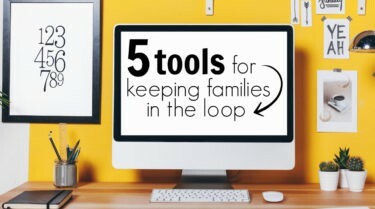 So the key is to create predictable patterns and routines that allow for streamlined planning. Today I wanted to share how I make Math Centers manageable. Three years into math-center goodness and I’ve finally found a system that works for me. How Many Centers Do You Have? Typically I keep 5-7 math centers out at a time. (Note – There is no wrong answer. Use as many or as few tubs as you need.) My first years in 1st grade, I stuck with 5 but last year I branched into 7 since I was changing them less often. 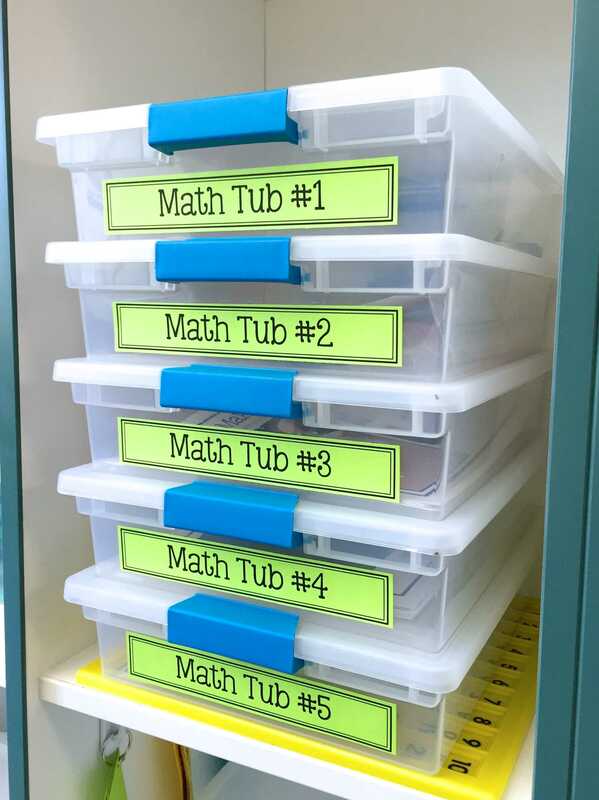 Teaching a combination class, the green math tubs are for 1st grade and the yellow math tubs are for Kindergarten. 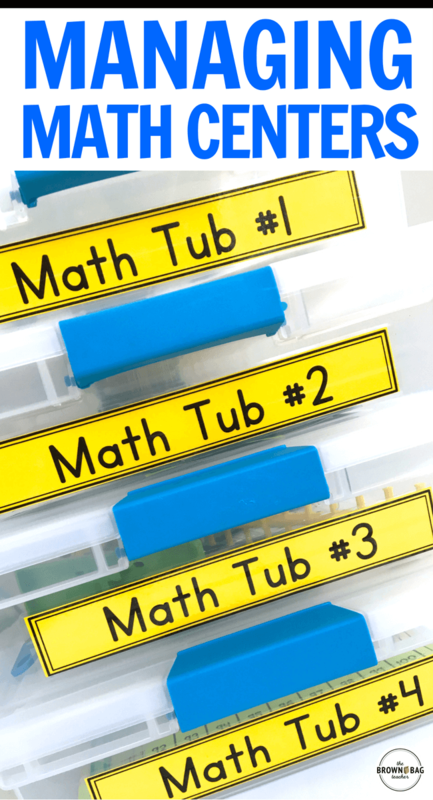 (Check out my favorite tubs for math centers here.) Click here for Kindergarten Centers, 1st Grade Centers, and 2nd Grade Centers! How Often Do You Change-Out Centers? 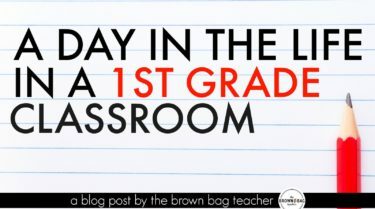 My first 2 years of teaching 1st grade, I changed-out centers every.single.week and this worked for me. 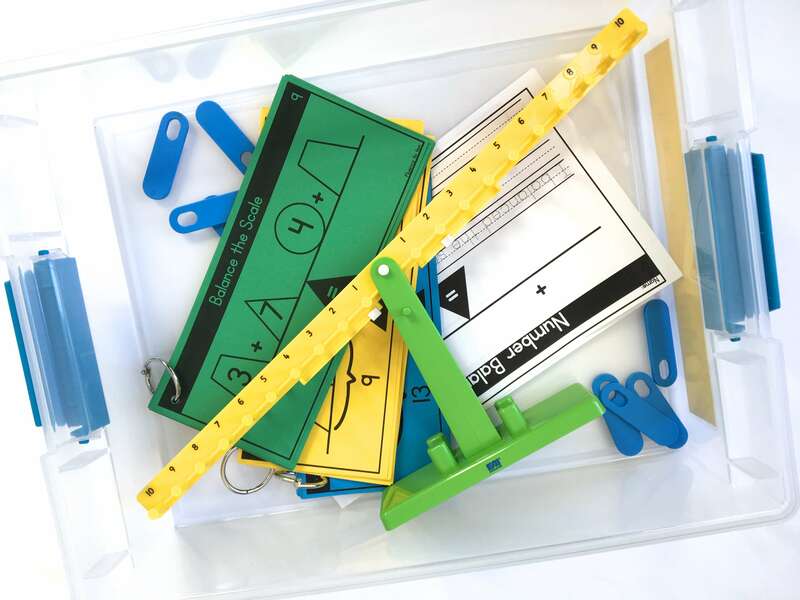 Each Friday during planning, I would swap-out manipulatives and visual directions, and print new Math Logs. Turning into a K/1 Combination Class this past year, I had two sets of math centers (Kinder and 1st Grade) and quite frankly, it was too much to try to change out both sets every week, so I alternated. One week I changed out 1st grade centers and then the next week Kindergarten centers. That means each grade was changed-out every two weeks, and you know what?!? It was OKAY! The world did not end, our centers were not out of control, and my students loved being able to visit their favorite centers twice. What Does it Look Like as You Change Centers? A hot mess. But really friends, it’s not pretty and it doesn’t need to be. When I change-out centers I first pull the sleeves from my binder. I try to batch tasks so I pull all 5 centers first. Then, I empty all 5 tubs. After all 5 tubs are empty, I slide in the visual directions and recording logs. Finally, I add-in manipulatives. 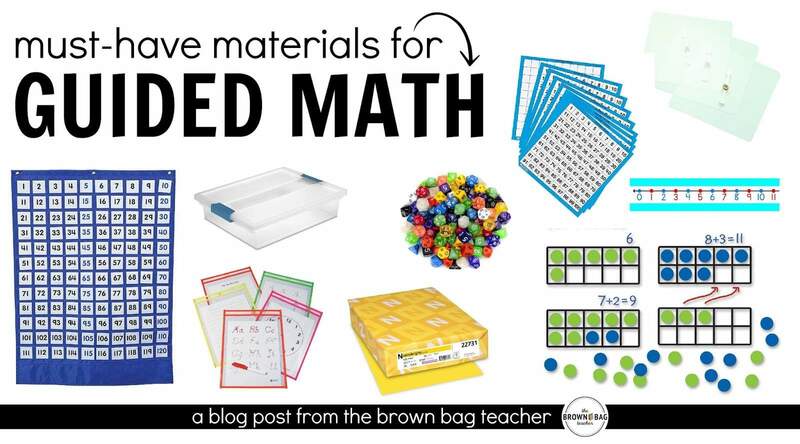 Although students are always welcome to grab additional or different manipulatives, I like to include the minimum hands-on materials they will need. How Do You Know Which Centers to Pull? Great question! All of the centers I pull are spiral review. Our centers are meant to provide students just-right, hands-on practices with content we have already covered. Therefore, material we are learning RIGHT NOW at teacher table WILL NOT be in our centers. Typically I like to wait until the next week (or two) to introduce the skill as an independent or partner center. Click here for Kindergarten Centers, 1st Grade Centers, and 2nd Grade Centers! Read About Math – Using QR codes or Epic for Kids will read books about math. Typically I pull books about the topic we are currently learning about. Since the books are being read aloud to students they don’t have to (but can be) spiral review. 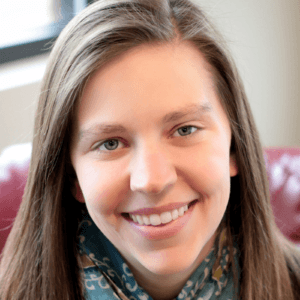 Versatiles – Versatiles are a fun, self-checking center. They are made from ETA Hand2Mind and are perfect for independent or partner work. Since I own several of the math Versatile books, I’m able to pull the just-right pages for all of my groups. I slip the pages into sheet protectors, add a blue/green/yellow sticker (so groups know which sheet to pull), and place them in the tub! 120s Pocket Chart – From September on, our 120s Pocket Chart becomes a staple in our center routine. 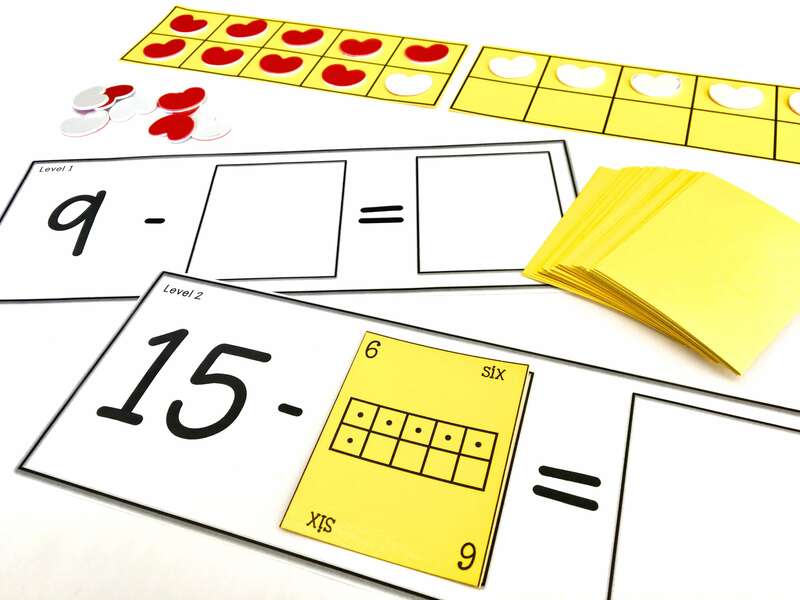 It’s perfect for practicing number order, place value, making 10 to add/subtract, as well as, number representations. With 6 different levels of playing cards, students work in partners to finish the 120s chart before the timer rings. It normally takes students 4-8 tries the first time with the set of cards to get all 120 cards in the right places, but they love the challenge and the chance to “level-up”! Card/Board Game – We love board and game games and they make a super simple center! From Making 10 Go Fish to Snap it Up, we are ALL about game. Check out some of our favorite board games here. 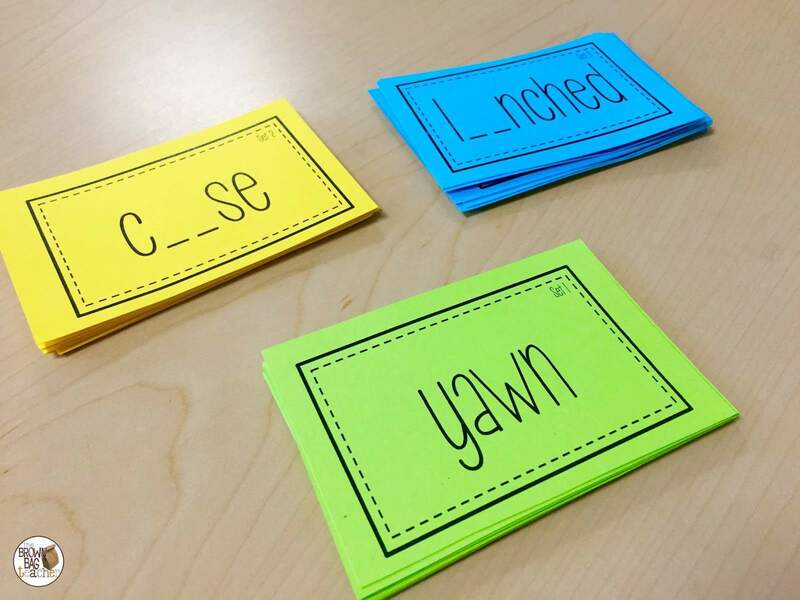 When Do You Teach Your New Centers? 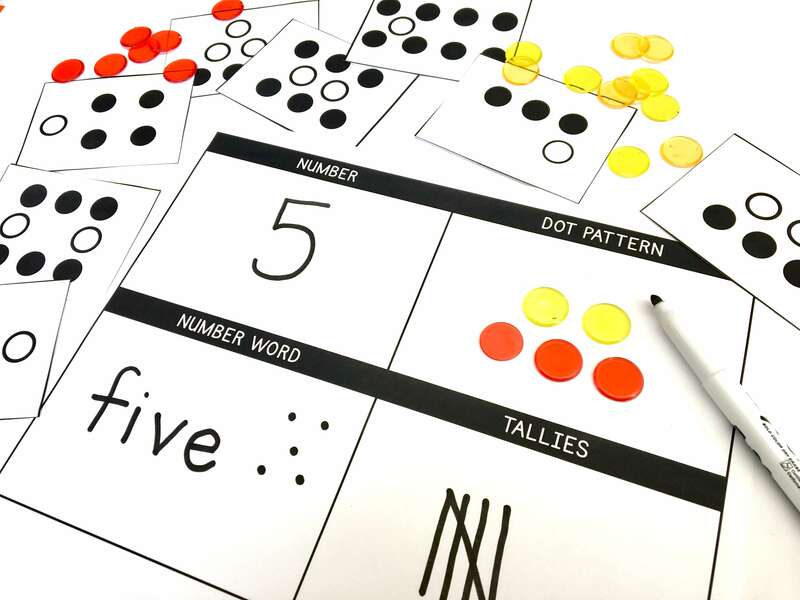 Morning Tubs – Students think math is a game and they love centers. I leverage this for the best! If I want to teach a new center, I will pull one table group each morning during Morning Tubs and teach them the game/activity. By the end-of-the-week, I’ve taught all 5 of my table groups how to play and we’re ready to introduce it the following week. Guest Teachers – When there are Guest Teachers (aka Subs) in the building, it’s the perfect time to introduce students to a new center. Students have the opportunity to practice with a partner with an adult present and the same math center is played with each group (just with different levels of differentiation) making it a little simpler for the Guest Teacher to manage. 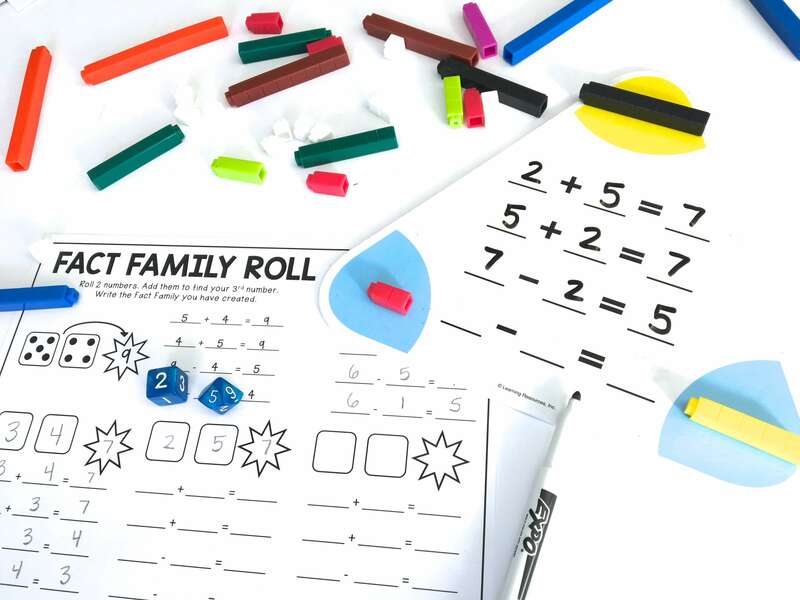 The only ‘catch’ with having Guest Teachers introduce math centers is that you must leave EXPLICIT, step-by-step instructions on how to play the game, preferably with visual directions already made so students have a picture of your expectations. Small Groups – Honestly, I share this hesitantly because our guided-math, small-group time is so incredibly precious. 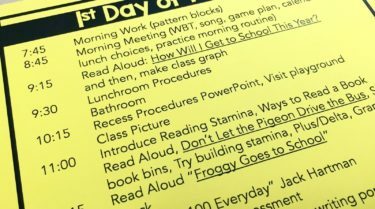 I would NEVER want it to become a time in which teachers are pulling a game, placing it at Teacher Table, and sitting back. 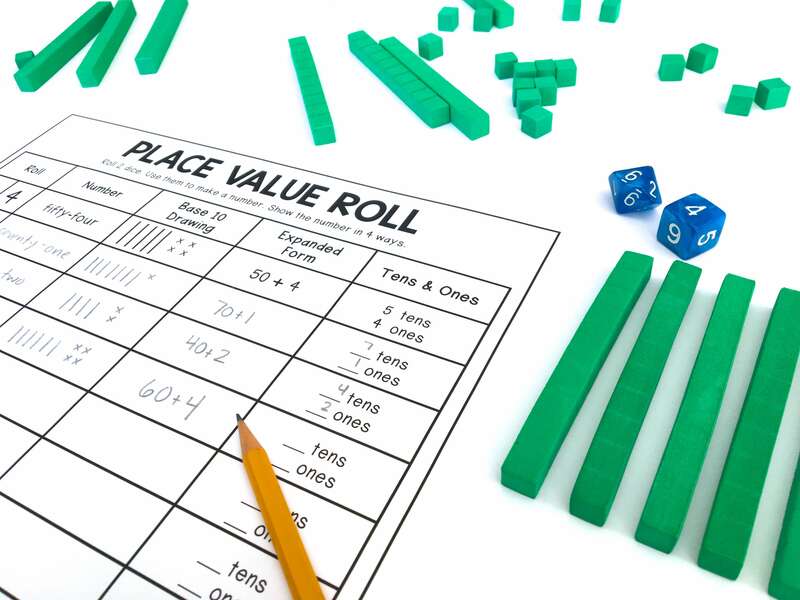 With that said, if I can use the game/center as an intentionally-planned, guided activity (in which students have manipulatives in their hands, are actively engaged in math talk, and are building math knowledge…not looking for a right answer), I know I can introduce and scaffold it at small-group. 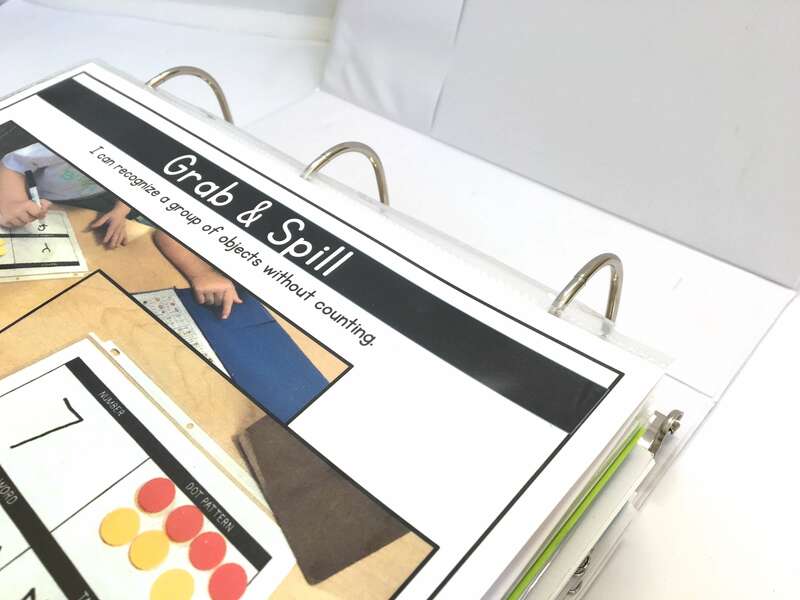 When math centers are not being used in a tub, they are storied in 2 3-inch binders in dry-erase sleeves. The visual directions go on the top for easily flipping and then, recording logs go in the back. Any playing cards or number cards needed for the center are put in a plastic bag in my “Randoms” tub. I don’t like to put these into the plastic sleeves because it makes the binder SUPER bulky and causes things to fall out. 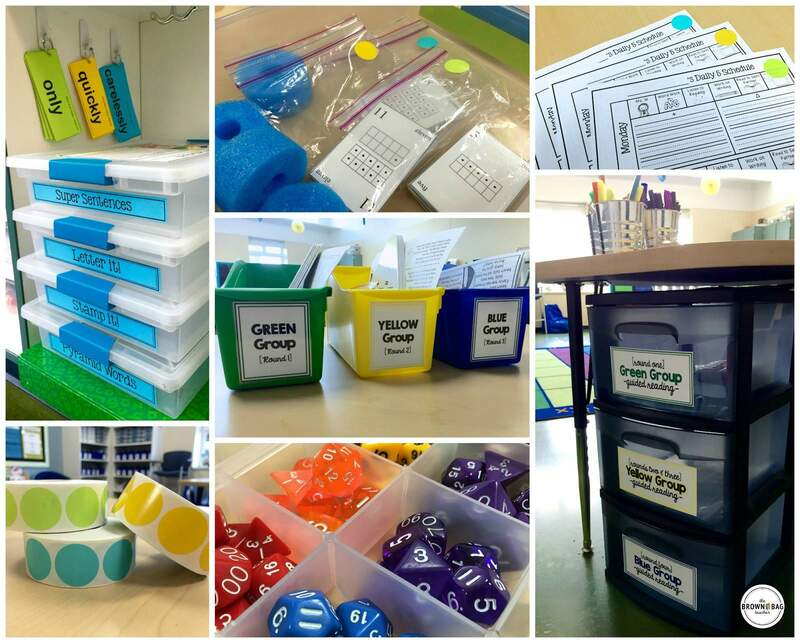 Any math manipualtives needed for the centers go back into our labeled bins and I pull them as I put out new centers. Over the years, I’ve found that if I don’t keep a running list of centers and games I make it to May and realize there are a number of awesome centers we’ve never used. I write the centers under the Common Core Standard that it reviews/practices. Then, each time I pull that center I write the date in which it was used. We do use centers more than once, but when we do I like it keep them 3-4 weeks apart. As students make their choices, they record/color which day they visited that rotation on our logs. Then, any work or recording log gets attached to this log. The logs are checked by me at during our Math Reflection Time and they go home each time I switch out centers. So friends, this is the nitty-gritty of math centers. What do you think? What other questions do you have? What works for you? I’d love to hear from you! 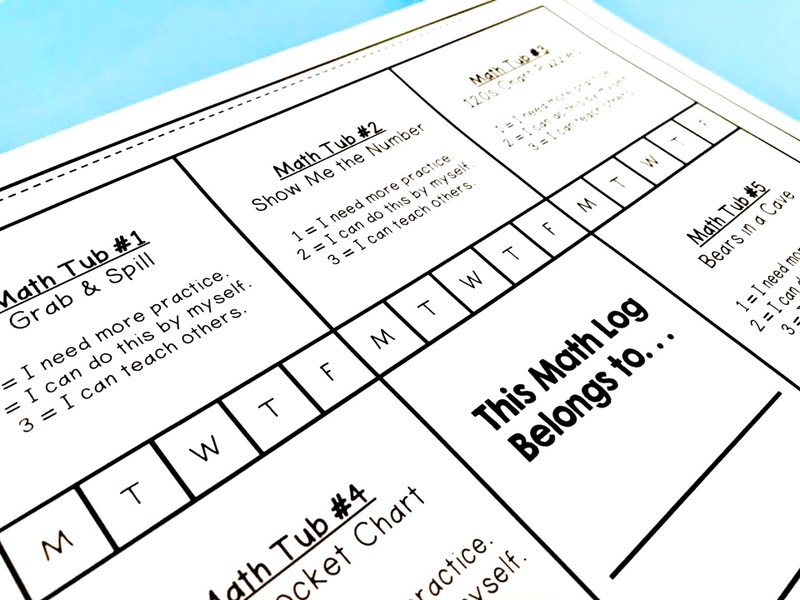 Also, snag math centers for your classroom on TeachersPayTeachers – Kindergarten Centers, 1st Grade Centers, and 2nd Grade Centers! What is your favorite font that you use for Tub labels and your print outs? I like how straight, simple, and easy readability of your font. KG Primary Penmanship. It’s my favorite! It looks like the children score themselves as a 1,2 or 3 each time they do a math center. That’s a great idea! 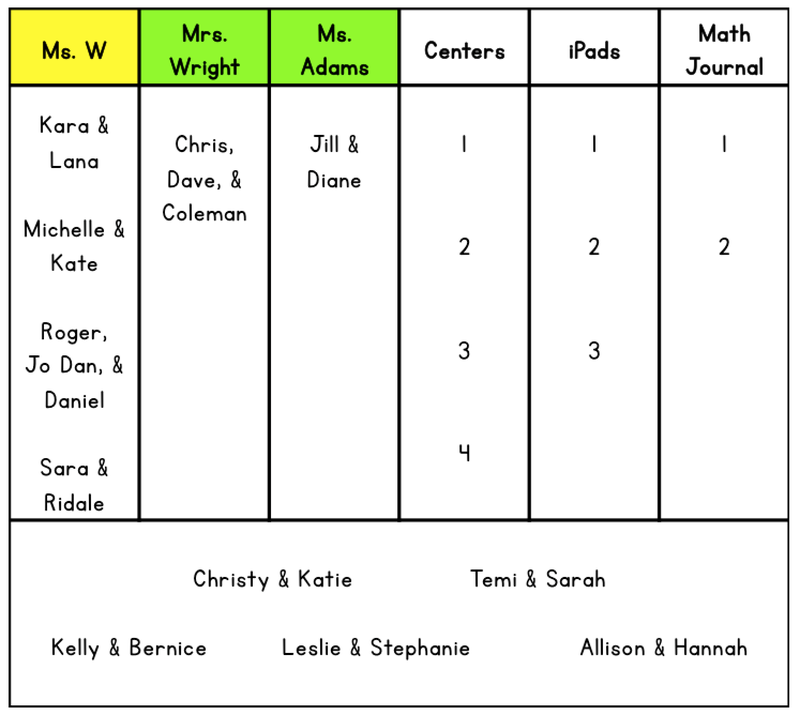 I am wondering what apps you use on the iPad during the technology center. I am also wondering what you do for math journal , you mentioned that once and this blog, but it doesn’t look like it’s on your center rotation . 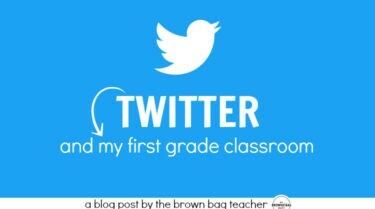 And lastly, for keeping children accountable I have been using this amazing app called Seesaw. It is a wonderful digital portfolio where children take pictures of their work to show they have done it and done it well . I am excited to get started with math centers and thank you for your inspiration! Hey Tricia! I pull from lots of places for Math Journals. I haven’t found one (or even two) resources I’m completely in love with. In terms of technology, we love using Prodigy, DreamBox, and SumDog. We also do Number Talks using FlipGrid which has been great!